The first step in applying for any job is making sure you have an outstanding resume. Now, what is the criteria of an outstanding resume? I’m going to key you in on some important specifics. First, make sure your resume is informative but not too wordy. You’re not writing a book of your life and I can tell you the employer does not want to spend an exorbitant amount of time reading paragraphs on your resume. Keep your experience and skills short and to the point, descriptive but not too lengthy. Next, make sure you are talking to the audience you are sending your resume to. What I mean by this is you are not going to want to list skills and experiences on your resume if they do not pertain to the position and company you are applying to. Ultimately, you may have to have a few different resumes depending on the audience and positions you are applying to. Make sure the references listed on your resume or reference addendum know you have listed them as a reference. There is nothing worse then calling a reference for a candidate and having the contact taken off guard or worse yet not willing to give a reference. Have a conversation with your potential reference and make sure they are aware and willing to give a reference before you list them. Lastly, check and double check for errors. Make sure your resume is formatted well with all of the margins flowing nicely and the font and text matching perfectly. Once you are happy with the formatting, spell check and spell check again. From an employer’s stand point, there are few things worse then finding grammatical errors on a resume. This is your first interaction with a hiring manager and it has to be perfect! Get creative with your resume and take your time with it. 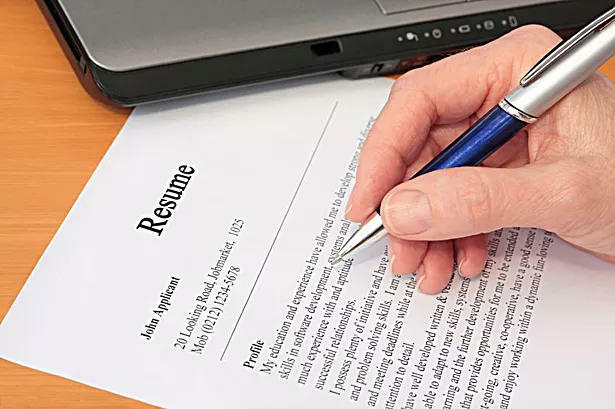 If you aren’t good with using technology to format your resume, ask a family member or friend that is, or utilize a company that specializes in writing resumes. Good luck and happy hunting!